Drying blueberries is one of the best ways to preserve the berries. The berries are dipped into sugar syrup before drying. 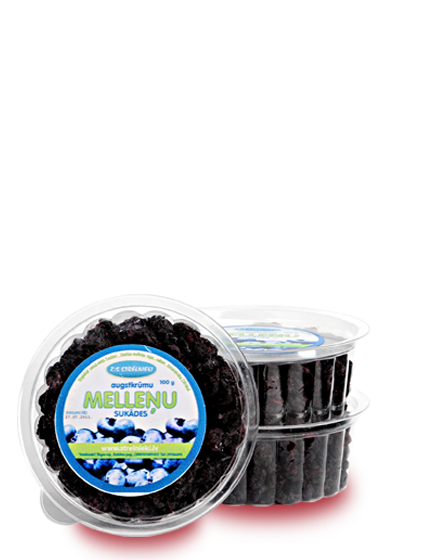 Drying of the berries is performed in a low temperature to preserve the maximum of the valuable substances. The product can replace traditional confection and can be added to breakfast cereals or baked in a plum-cake instead of raisins.